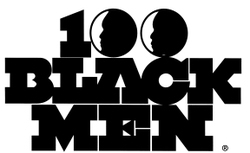 ​100 Black Men of Rome-Northwest Georgia, Inc. The Pathways to Success mentoring program presented by the 100 Black Men of America is changing lives through real talk and experiential business training for diverse young men and women. The outreach initiative was created in collaboration with Wells Fargo Corporate Supplier Diversity . Due to the success of the pilot, Pathways to Success expanded into a national outreach program of the 100 Black Men of America. “Our goal through Pathways to Success is to help our young brothers and sisters become either successful entrepreneurs or corporate executives,” says Anthony C. Perez, assistant vice president of real estate at Carolinas HealthCare System and national program manager of Pathways to Success for the 100 Black Men of America. Mission: Provide and reinforce student workforce readiness and entrepreneurial excellence. Who: Program is open to male & female High School students. What: This free program addresses deficiencies in basic business competencies for students interested in the corporate workplace and/or entrepreneurial marketplace. The Program is designed to focus on the tactical and strategic skill sets required for success in business. Individual soft skills necessary for leadership will be enhanced. Participants will learn the art of networking and how to become business savvy.